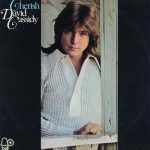 Cassidy had come to prominence via the TV series The Partridge Family and had sung lead on several hit singles and successful albums under the group moniker. Being underage at 19 upon being signed to The Partridge Family and during the first season of the show, Cassidy was on a flat-rate contract with Columbia Pictures and earned no royalties from recordings issued under the Partridge Family name on the Columbia-owned Bell label. However, upon reaching the age of 21 during the hiatus before Season 2 began production in April 1971, Cassidy was able to renegotiate his contract to include payment of royalties for sales of recordings and merchandise, as well as gaining a degree of input into, and control over, his recording career. Cherish was designed as a project by Partridge Family musical producer Wes Farrell to break Cassidy out as a solo star via material not directly connected to the TV series. The album was recorded during the second half of 1971 with essentially the same musicians and technicians who had worked on earlier Partridge Family recordings, but with the aim of giving Cassidy a more mature sound than he had been able to display via the Partridge Family, and more personal material with which to work. Regular Farrell associates Tony Romeo and Adam Miller contributed three tracks each, while Kin Vassy – at the time a member of The First Edition featuring Kenny Rogers – penned the dramatic ballad “My First Night Alone Without You”, a track which was subsequently covered by a number of other artists including Dionne Warwick and Bonnie Raitt. The album also includes the Cassidy-penned track “Ricky’s Tune”, reportedly a homage to a recently deceased pet dog.